The archaeological work, funded by the Sherford Consortium and carried out by Wessex Archaeology, alongside Devon County Council and consultants AECOM, has unearthed exciting discoveries that have helped to provide more information about Sherford's history, including prehistoric pottery, Bronze Age tools, roundhouses and barrows. Dating from 2200 BC to 800 BC, and following extensive archaeological investigations at Sherford, the images show how Bronze Age Devon settlers lived in small communities, attracted to the area due to its location and land fertility. Soil samples taken also reveal that ancient Sherford residents would have primarily farmed the land - growing crops such as wheat or barley. As well as growing small crops, the remains of saddle querns have also been unearthed at the town, which would have been used by communities to grind crops and make food - including bread and gruel. The first metal tools would also have been used for farming during this period, making it easier for farmers to clear fields for crops. 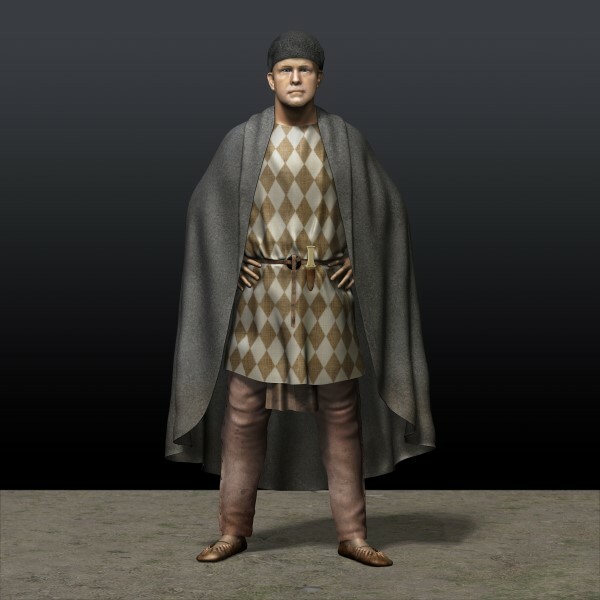 One of the first Sherford residents has also been brought 'back to life', with a new 3D image reconstruction detailing how a Bronze Age male would have looked at the time. The man pictured would have likely been a wealthy individual, with evidence showing that he may also have been an important person or leader within the community. Following the discovery of its remains at Sherford, a small bronze knife has also been reconstructed within the image. With a handle probably made from wood or bone, the knife would have been used as a weapon or for skinning animals, as well as being worn as a symbol of wealth. Archaeological investigations have been taking place at the location of the new community development for the past three years, and have included trial trench evaluations, excavations and site wide geophysical surveys. It is expected that following examination, many of the artefacts will eventually be on public display at a local museum. 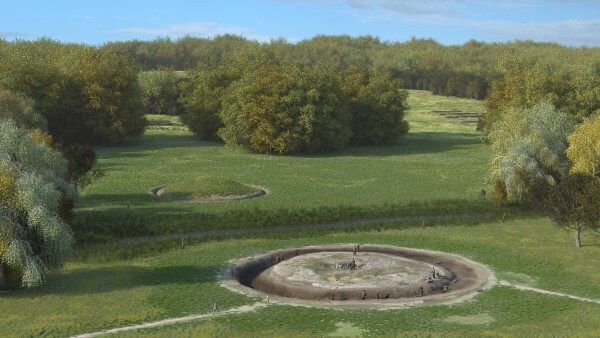 Gareth Chaffey, Senior Project Manager at Wessex Archaeology, said: “It's fantastic to help bring Sherford's extensive history to life, helping to show what life would have been like for the first settlers in Devon thousands of years ago. By using cutting edge research technologies to analyse our findings we have painted a picture of life at Sherford during the Bronze Age, giving us fascinating insight about the people who lived and worked in the area. The images have been based directly on evidence we have found at Sherford itself. “The Early Bronze Age was a period of innovation and progression, with the first metal tools and woollen clothing being created, and our research, along with the artefacts found at Sherford, reveal that the area was likely once home to a thriving farming community. A spokesperson from the Sherford Consortium said: “It is fascinating to find out more about Sherford's history, demonstrating that families have called the area 'home' for thousands of years. Sherford is set to be one of the largest new communities in the region, and it is vital that its history is uncovered and protected as the development progresses. Bill Horner, Devon County Council's Archaeologist, said: “These reconstructions are very powerful. They bring the ancient landscape to life and make the past much more understandable. The face of the Bronze Age man looks almost familiar. Perhaps his descendants are still in the area! Devon County is pleased to be part of the partnership that is revealing this fascinating story”.